1. Engine radiator, V8 engine appearance with air intake design. 2. Temperature control with 13000 rpm high speed dual fan to dissipate heat for the motor. 3. The built-in fan effectively prevents destruction by projects on the road such as rocks. 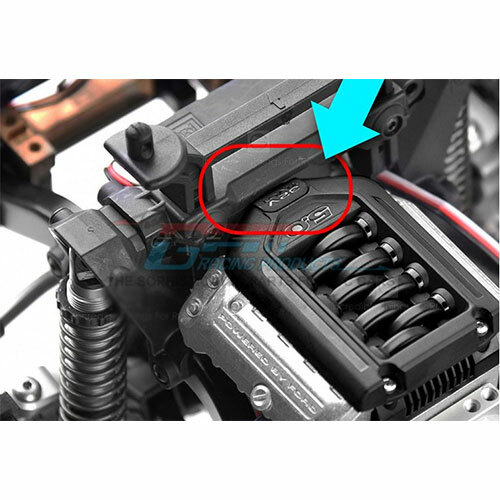 The radiator is clamped directly on the motor. Suitable for most 1:10 RC models with a 36mm diameter motor. Material: The main body is made of aluminum and the upper mask is made of Polyurethane. 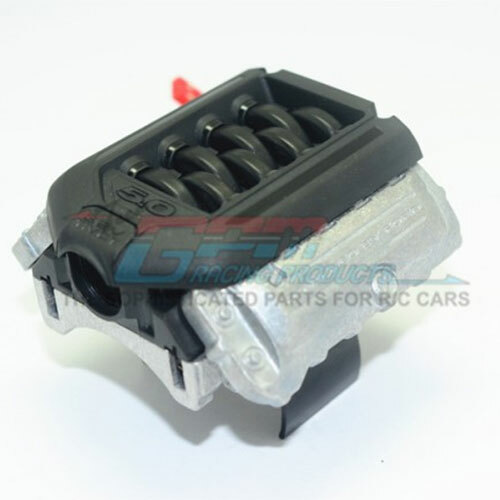 Cooling fan: 2S version 7.6v, rated 13000 rpm. after the motor is warmed up to control the operating temperature. Note 2. 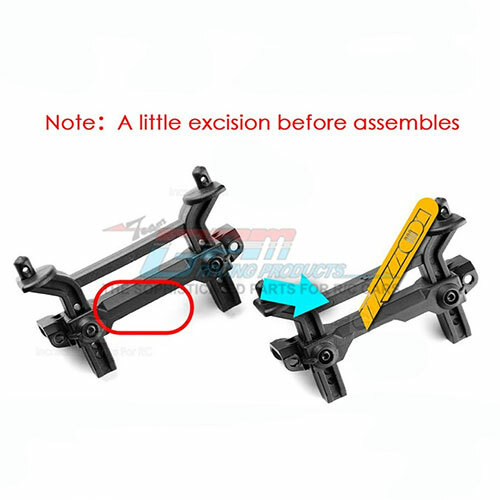 The original body mount posts must be modified when installing on TRAXXAS TRX-4 (refer to diagram).